This entry was posted in Photography and tagged Photography on June 20, 2014 by Tom Grundy. 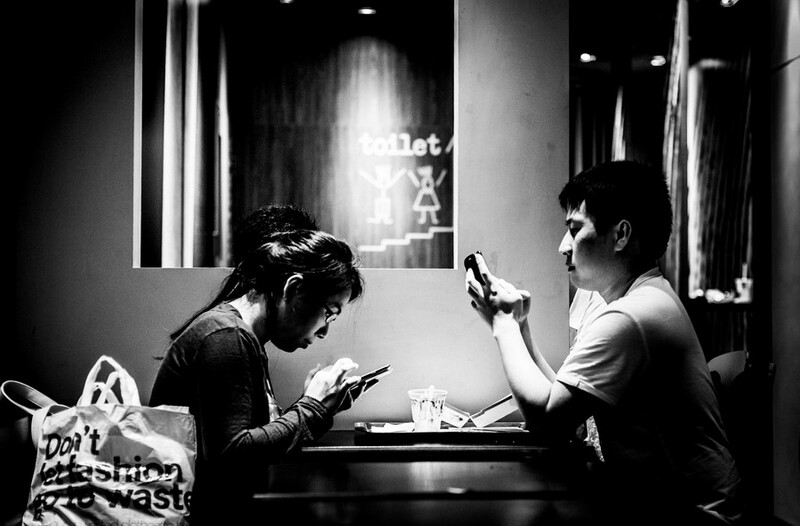 Filipino domestic worker Xyza Cruz Bacani shares her black and white street photography with HK Helpers Campaign. Post by Xyza Cruz Bacani. This entry was posted in News and tagged news on June 13, 2014 by Tom Grundy. 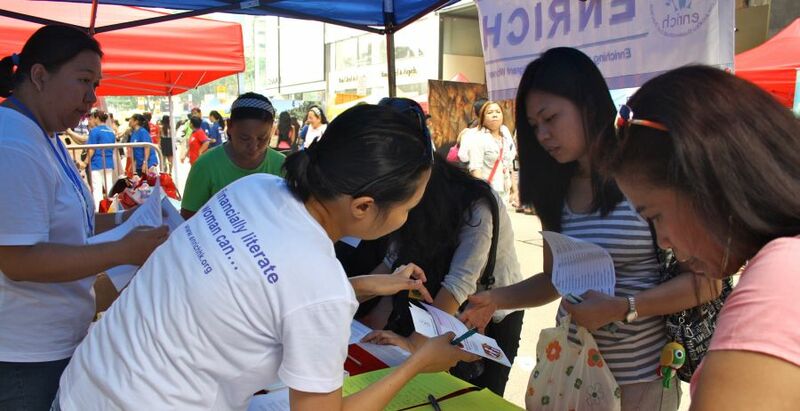 Last Sunday, domestic worker NGO Enrich administered a survey amongst 100 migrant women. While the overall atmosphere at Charter Garden was cheerful with colourful dancing parades the survey painted an alarming picture of the financial situation of many migrant women in Hong Kong. Most migrant women arrive in Hong Kong to work and save money in order to secure a better and brighter future for themselves and their families. Generally women save for things like their children’s education, a house, capital for business or a comfortable retirement. This entry was posted in News and tagged news on June 5, 2014 by Tom Grundy. 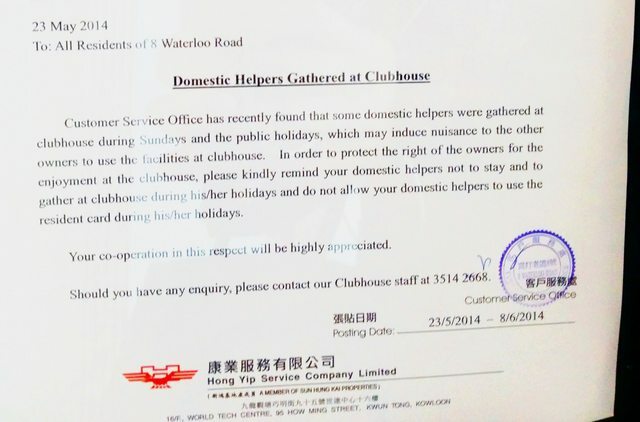 A residential building in Yau Ma Tei has attempted to ban domestic worker residents from its clubhouse as their presence may ‘induce nuisance’ and affect the rights of other residents on Sundays. 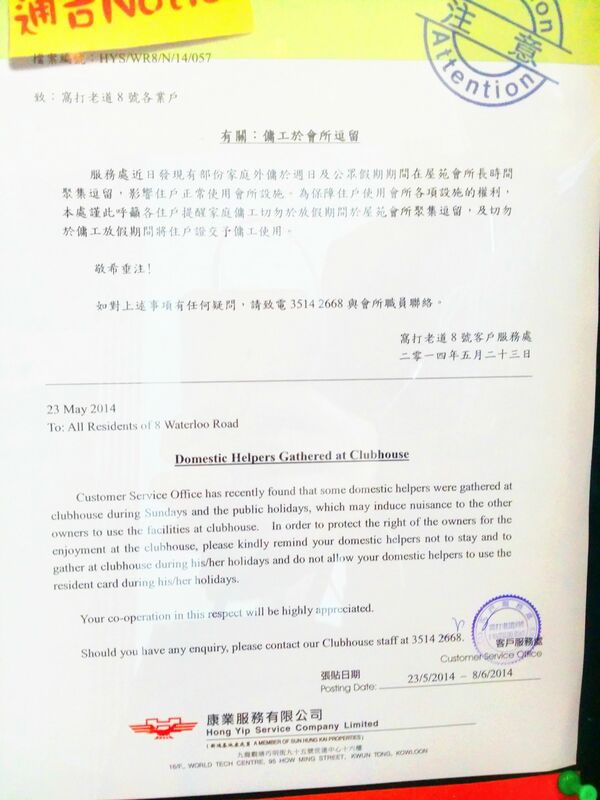 The sign was posted by management company Hong Yip Service Company (owned by Sun Hung Kai Properties) at their ‘No.8 The Waterloo‘ development. It told residents not to allow their helpers to use access cards during their holidays. However, domestic workers are themselves residents and – by law – have no choice but to live with their employers in the building. Hong Yip Service Company notice – click for full blingual version. 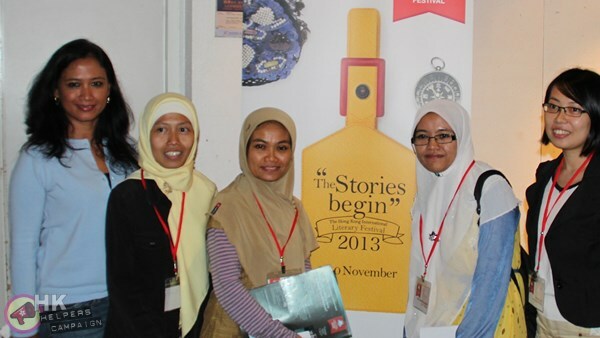 News of the policy emerged after a local resident complained to a local NGO. Asking to remain anonymous, he said “To categorise a group of people as a ‘nuisance’ based on their occupation is absolutely disgusting… What is the difference between a crowd of domestic helpers and a crowd of people who are not?” Although he said understood that having groups of visitors in the clubhouse may be undesirable, he noted that helpers have little place to go on their day off owing to their meagre salaries.